Cataract surgery is a procedure to remove the cloudy lens in a patient with cataracts, replacing it with an artificial, intraocular lens (IOL). Most patients undergoing cataract surgery report improved vision a few days after the procedure. 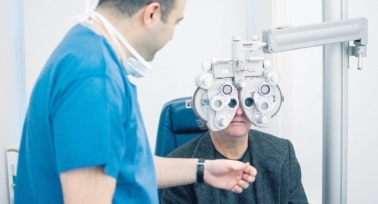 Cataract surgery is a simple and quick procedure that can be completed under local anaesthetic with sedation as a day case, with no overnight stay required. It can take as little as 15 minutes from start to finish. You will be awake throughout the procedure, which is painless, and will be able to go home shortly afterwards. You won’t be able to drive yourself, however, so it’s important to ensure that you have someone with you. Eyes can either be operated on one at a time, with one to two weeks between procedures, or both eyes may be able to be done together. Before your surgery begins, you will be given local anaesthetic eye drops to ensure that you don’t feel pain while the cataract surgery is being carried out. Sedation is administered by the anaesthetist to ensure that you are relaxed throughout the procedure. Cataract surgery involves making a cut in the eye to remove the cloudy lens. This can either be done manually, with a surgical blade, or using a state-of-the-art femtosecond laser. Both forms of cataract surgery are safe, low-risk procedures. To remove the cataract, a hole is made in the capsule bag and the lens is broken up into tiny pieces. Once the lens has been removed, a new intraocular lens (IOL) is carefully inserted using ultra-precise keyhole surgery. The lens will be a bespoke prescription that allows the patient optimal focus. You can read more about our premium IOLS here. Following a rest to recover from the anaesthetic, you will usually be free to go home. Your surgeon will give you instructions on how to care for your eye, and what to expect in the days following your cataract operation. You should wear sunglasses in the hours following cataract surgery and outside for one week. You will need to use eye drops to prevent infection and reduce inflammation for two weeks following the procedure. Usually, you should be able to resume your day-to-day activities within a couple of days, light exercise after five days, and full exercise after two weeks. What are the benefits of femtosecond laser cataract surgery? 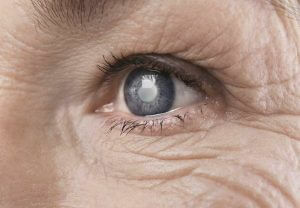 Femtosecond laser cataract surgery is performed without surgical blades. This technology allows surgeons to map the exact location of the planned incision, resulting in an ultra-precise and extra-safe operation. 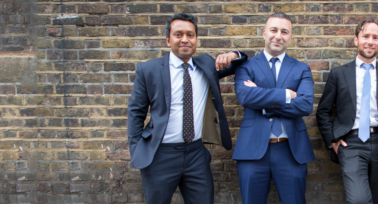 Femtosecond laser cataract surgery is a very new procedure, and our surgeons will be happy to answer any questions you may have about how the surgery is performed and whether it is suitable for you. 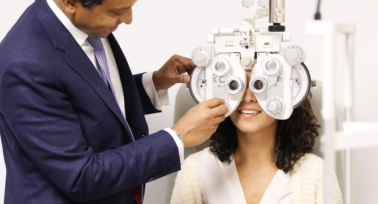 If you would like to find out more about how cataract surgery is performed and if it could help you, please contact us for a consultation, or call on 0203 369 2020.